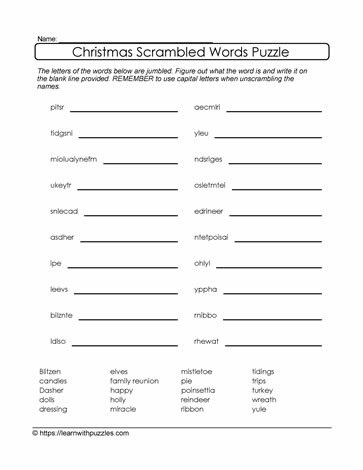 Here is free Xmas themed scrambled letters puzzle. Great support to Christmas theme based classroom activities and homeschooling environment, as students' brains are engaged while using problem solving and vocabulary building skills. Suitable for students in middle grades 5,6,7 and homeschooling environment.